Welcome to your one-stop-shop for funding your families Scouting adventures this year! Many families fund their entire year through a successful Fall popcorn sale, and below you'll find tools to help you do the same. Here are some of the key terms to be aware of, and then you'll see tools for each part of the sale. Take Order: Typically September-November, Take Order is the fillable order from your Scout can take to family, friends, and your colleagues to place their orders ahead of time. That popcorn arrives in mid-November, and the Take Order form is available below. If your Pack or Troop doesn't participate, your family can send your completed form to msmith@dmvc.org to have your order placed by a member of our staff. 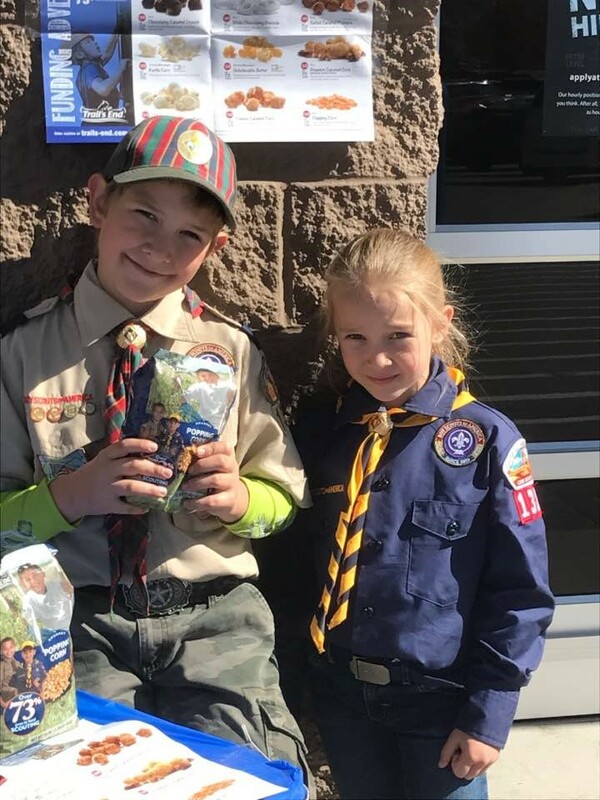 Online Sales: All Scouts can sell online, without the hassle of transporting popcorn or handling money. Your friends and family can buy popcorn and have it shipped directly to them, wherever they live! Learn more and sign up at www.trails-end.com. Teach Your Scouts How to Make Their Personalized Online Sales Page Today! Online sales are a great way to tell your Scouting story and sell to friends and family near and far. Your page can have your pictures, goal, favorite product, and highlight what activities you are raising money for. To set up your Scout Account click here!